Sometimes, your apartment just needs a little jazzing, and finally fixing the shower takes precedence over a whole cast of new furniture. But, if you've got a friend with an art degree (or, a knack for painting), you'll have a new space in no time. If you are in the market for some furniture purchases, then we have a few tips for you, too. Because, honestly, once you’re on a roll and repainting, you might as well think big-picture, too. 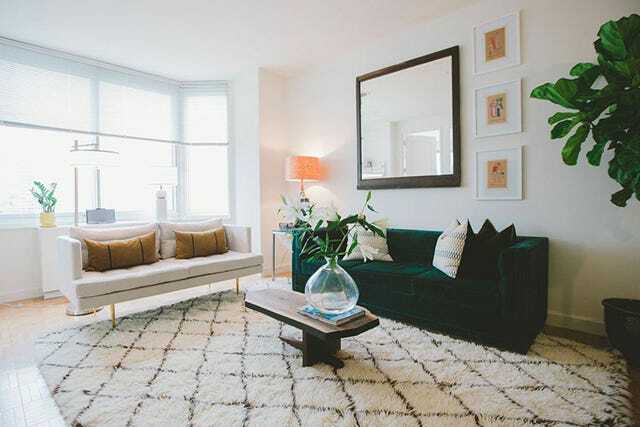 This Financial District apartment designed by Homepolish designer Amanda Gorski has a million amazing examples, so click on through. The simple, black-and-white lines really make this foyer amazingly eye-catching. 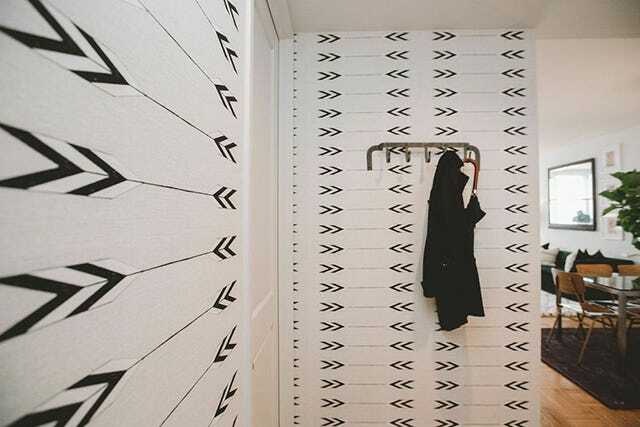 Of course, don’t feel obligated to mimic this pattern — go crazy with a chevron or straight stripes. All you need is painter's tape, and a steady hand. If your apartment has a weird nook or wall that’s calling out for some decoration, we think this trick by our designer Amanda Gorski is brilliantly simple. 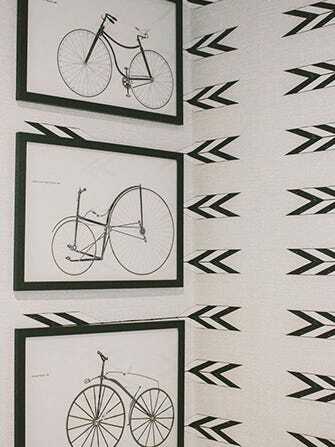 The black-and-white bike wheels contrast and compliment the sharp lines of the painted arrows. You don’t have to spend a fortune on wall hangings, though. Frame some old playing or greeting cards in place of some budget-breaking art. You can pick up a stencil at any crafts store, but be sure you pick a pattern that gives the room some depth. The horizontal arrows help widen up this tight foyer. Brass details make all the difference and make a space feel put together by creating visual associations. We aren’t suggesting that you get a new couch, but consider brassy flea market tchochkes you can strategically toss around your space. Hang these on the wall or stack them on a table. These candlesticks are only $5! Buy a few and you can use them as candleholders or flower vases. Or, keep things neat and pretty by storing things in this bowl. The dark teal color of the couch isn’t overpowering (in fact, it almost looks black until the light catches it), but it works well with the mostly white room. Looking to recreate this look on the cheap? These teal cushions are comfy and inexpensive and will go well with this patterned pick. Or, fake a couch color by getting something bigger like this throw. If you’re truly in the market for a new sofa and love this color idea, we like this button-tufted pick! We especially love the pretty combination with the natural wood coffee table with the plush, geometric rug, and you can find a similar one here.